Salient Management Company is excited to be exhibiting at the NAACOS Fall 2015 Conference this week, joining the leaders of both established and newly forming Accountable Care Organizations. The Salient team will be showcasing Salient ACO, our turnkey analytics solution built to provide meaningful and actionable intelligence in easy-to-use dashboards. Learn how to improve your population’s health while maximizing performance and increasing shared savings by joining us at Booth B6 for a test drive of Salient ACO. When: Thursday, October 8th. 7:30 a.m. – 8:15 a.m.
Where: Federal AB (located next to Foyer 2), Capital Hilton, Washington, D.C.
Special Giveaway: Attend the breakfast and enter for a chance to win a Samsung Galaxy Tab A, which will be given away at the end of the presentation. 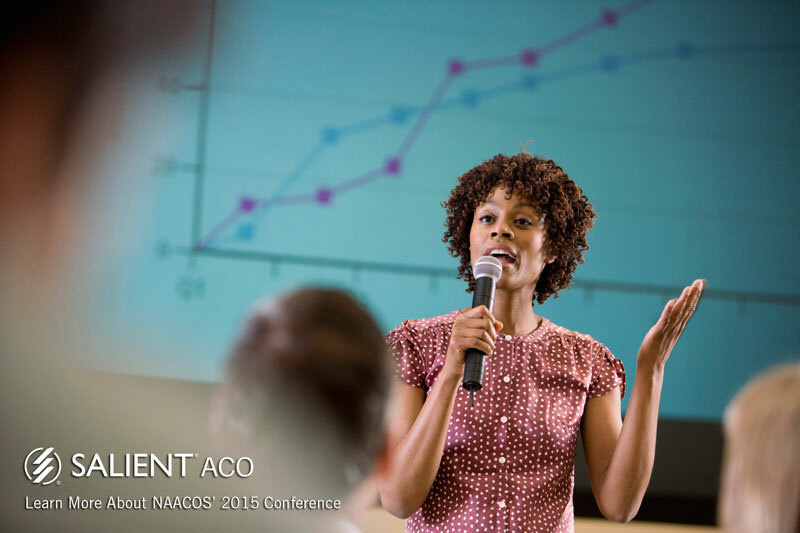 The National Association of ACOs (NAACOS) Fall 2015 Conference is one of the most exciting events of the year for Accountable Care Organizations (ACOs). Held at the Capital Hilton in Washington, D.C., the NAACOS Conference delivers valuable policy insights and operational strategies for both new and established ACOs. One of the most valuable features of the event is the insights into operational strategies to successfully meet Medicare Shared Savings Program (MSSP) standards. All attendees will have the chance to network, engage with exhibits, and learn from their peers.